Openroads and 4 Biz & More have teamed up to organize the 4 Biz & Cars road trips. 4 Biz & More is a dynamic consulting organization that gives companies commercial support on multiple levels. The services of 4 Biz focus on customer related business processes. With 4 Biz & Cars the company has a branch that focuses on entrepreneurs with a passion for cars and motorsports. They offer multiple events like go-karting and racing initiations. With 4 Biz & Cars we want to bring people and companies closer to each other in a fun way, combined with a nice day of driving on the best roads. On a yearly basis we will organise four events, on in each quarter, where "power speeches" will be given. These speeches are short informative sessions related to business related themes, a must hear for all entrepreneurs. These speeches are then followed by a road tour along the nicest roads in Belgium and beyond, where we will stop for food and drinks and further networking. Openroads provides an adjusted roadbook for this very diverse field of participants, so everyone can join in. We will make sure that you get a fun, educational, relaxing and adventurous day where you can enjoy driving and networking. Participants can subscribe to these events with a package deal for all events at 300 Euro excl. VAT so they need not miss an event. Separate subscription to each event are also possible, but subscribers to the entire package are given priority. Participants will go home with relevant knowledge for their business, new contacts and a fun memory to an epic road tour. 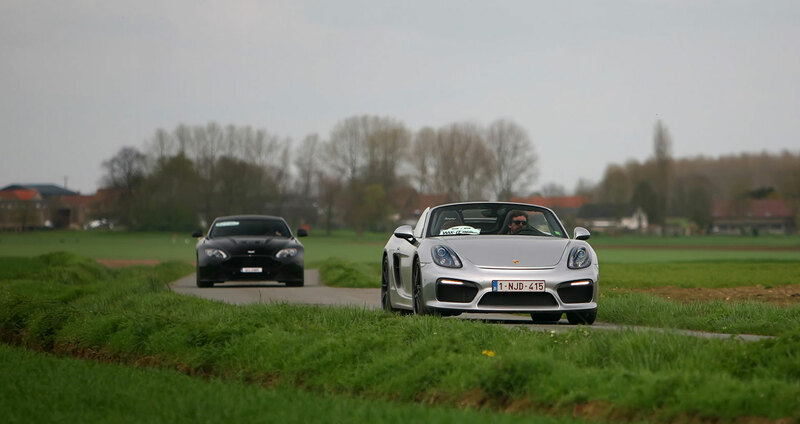 The first 4 Biz & Cars road trip in collaboration with Openroads will take place on Sunday 17 March 2019 in Zeelandic Flanders. After an interesting info session about a hot topic in business, a short safety briefing will be given after which we will take to the open roads. This road trip will let you enjoy the beautiful nature that Zeeland has to offer. During this road tour you will discover some of the sights the area has to offer, while driving over the best roads. The 160km long trip brings pure driving fun, for every type of car and driver. Designed by and for drivers and car lovers, this trip takes quality road surfaces into account, so cars with limited ground clearance can join in. For this first 4 Biz & Cars networking event the participants will gather at 9h30 at Karting JPR. JPR Belgium was one of the first indoor kartings in Belgium. It offers 800 meters of track, 200cc strong Sodi karts, a state-of-the-art time registration system and professional coaching. Karting JPR can be found at Europark-Noord 29 in 9100 Sint-Niklaas. Karting JPR is the start and finish of this road tour. For lunch we will stop at De Bourgondiër. De Bourgondiër is the go-to address in the region to eat, drink and have a good time. With a sunny terrace, playground, bowling and scooter rentals, fun is a sure thing for young and old. As the reception is always great, it should not be a surprise that we have chosen De Bourgondiër as our lunch location where the participants will be treated to a lovely buffet. We will enjoy some pasta dishes with drinks and some dessert to top it off. The number of places for the rally are limited so it is best to sign up as soon as possible. The price for the complete rally is 79 Euro excl. VAT per person. For that price you get the roadbook, a drink at start and finish, lunch and an three power speeches. Too late! Subscriptions for this event have ended.